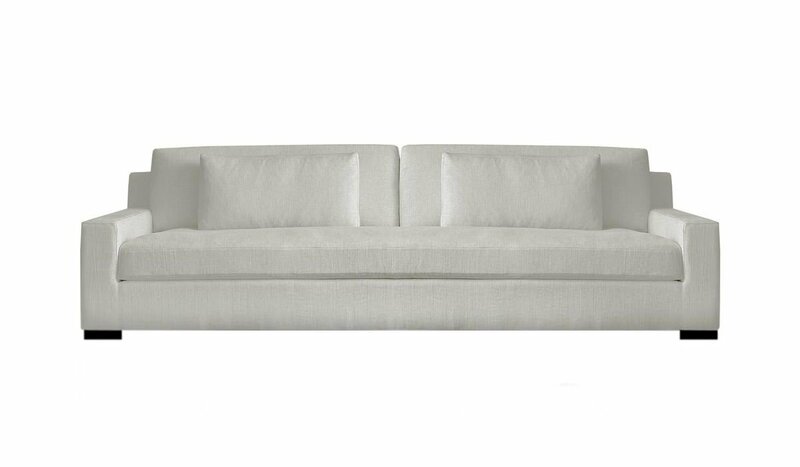 Bo Concept inspired, Aversa II sofa features modern sleek frame, cushy bench seat (optional), custom wood base (optional), and modern low and wide arms that make this sofa appear low without being actually low. You can chose between having three, two, or a single back pillow. Aversa II sofa can be ordered in custom size, as a sleeper, as a sectional in twenty-four configurations, choice of seat firmness and fill, leg style, wood finish, and fabric. Please submit Request Custom Quote Form for custom pricing and special requests. If you have a difficult area to design for, want to go COM, or just want an exclusive, different design, please, call Customer Service (214) 984-4128.